Our Insurance Carriers offer many more built-in car insurance discounts, such as defensive driving, safe driver, pay-in-full, multi-car, go-paperless and many more. You’ll automatically get these discounts during your auto insurance quote no matter if you buy online or on the phone. Just get a free car insurance quote, and Our Carriers find all these savings for you. You won’t have to do or say anything else. You can pretty quickly rack up hundreds in savings. But if you want to save even more during your car insurance quote then see more on how to save on auto insurance. Defensive Driving: Successfully complete the NYS 6 hour Defensive Driving Course and save an additional 10% off your Liability and Collision premium. Safe Driver: No tickets or at-fault accidents in the last 3 years? Fantastic. You just saved. Careful Driver: No at-fault accidents or comprehensive claims in the last 3 years? Multi-Car Policy: Got a second car or live with someone else who drives? You got another discount. And you can combine policies with just about anyone you live with. Bundle Discount: That’s right combine your auto and home, condo or renters insurance for even more savings. Uninsured/Uninsured Bodily Injury Coverage: For not-at-fault medical care. Uninsured/Underinsured Bodily Injury coverage protects you if you’re in an accident caused by a driver who either has no insurance or just not enough insurance. This coverage pays for damages you incur, including medical expenses and lost wages. Medical Payments: For any post-accident medical care. This protects you if you’re in an accident; medical care for you and your passengers are paid, even if you get hit by a car while you’re walking or riding a bicycle. Collision: For any post-accident repairs. Collision coverage protects you if you get hit by, or hit, another vehicle; car repairs are paid. You choose a deductible and pay this portion to the repair shop after an accident, and collision coverage pays the rest of the bill. Comprehensive: For any other repairs. Comprehensive coverage protects you if your car is damaged by something other than a collision, such as fire, vandalism, hail or flood; Our Carriers pay for repairs (after you pay the deductible). Our Carriers also cover damage caused by hitting an animal and theft (if your car gets stolen). Roadside Assistance: For Breakdowns. Roadside Assistance coverage protects you if your car breaks down due to mechanical or electrical issues like a dead battery, a flat tire, or a lock-out, or if you run out of gas. this coverage pays for towing services or roadside help. Loan/Lease Payoff: For your car loan. 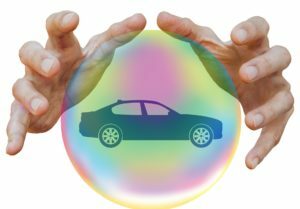 Loan/Lease Payoff coverage, or gap insurance, protects you if your car is ever declared a total loss; this coverage pays up to 25 percent over the actual cash value towards the amount you owe the lender. Not offered by all carriers. Pet Injury: For Vet bills. This helps you get care for your dog or cat if it’s hurt in an accident; Our Carriers pay for vet bills. It’s included with your Collision coverage. Not offered by all carriers. Rental Reimbursement: For a car rental. This optional coverage protects you if your car is being repaired as part of a Comprehensive or Collision claim; it pays for up to 30 days of a rental.